After nearly 37 years on the job, Joe Pfeifer, the first battalion fire chief to enter the north tower on Sept. 11, 2001, will be retiring. He told ABC News on Wednesday that Sept. 11, 2001, had started as a beautiful summer day. He was answering routine calls as a documentary crew followed along. He said they heard a plane noisily fly overhead. They then watched as it hit the World Trade Center. "In that moment, I knew I was going to the largest incident of my life, the largest fire I've ever seen. And, I also knew that thousands of people were in need," Pfeifer told ABC News. That summer day with its bright, blue skies quickly turned to darkness. "Matter of fact, after the collapse, you couldn't even see a hand in front of your face," he said. Joe Pfeifer, right, is retiring from the New York Fire Department after 37 years of service. He was the first battalion fire chief to arrive and enter the north tower on Sept. 11. When he got there, he said, he heard there was a fire above the 78th floor so he ordered teams to go in and evacuate. One of those firefighters was his brother Lt. Kevin Pfeifer. "We looked at each other, wondering if we were both going to be OK. And then I gave him the same orders as the other officers," he said. "That was the last time I saw my brother Kevin." He said his brother's memory motivated him to continue. "It's not simply looking back, but it's taking and absorbing it. It's taking it and intensifying it and saying, 'OK, I have my foundation,'" he said. "What we lost is my foundation. Now, how do I move forward?" 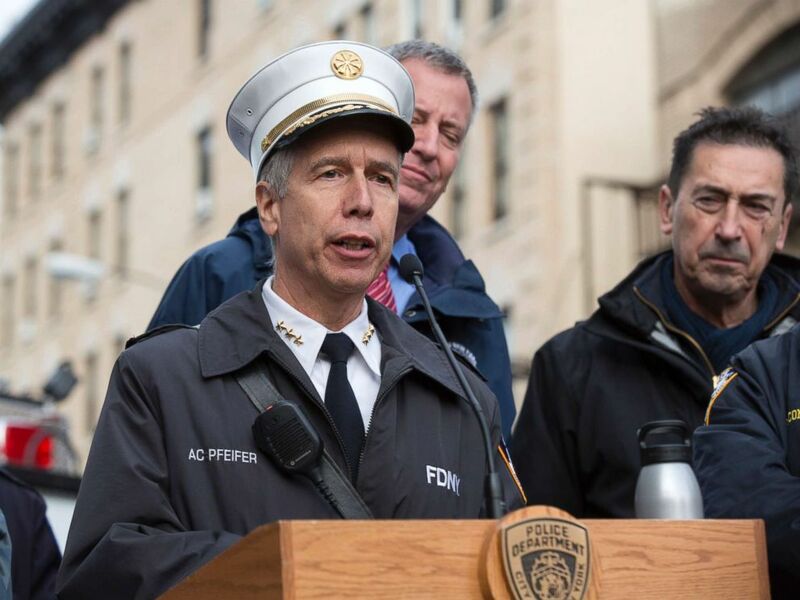 Since that day, Pfeifer has worked to beef up the New York Fire Department's counter-terrorism efforts and preparedness as well as to bring the different parts of the department and the New York Police Department together. "We're making it safer for New Yorkers and firefighters," Pfeifer said. 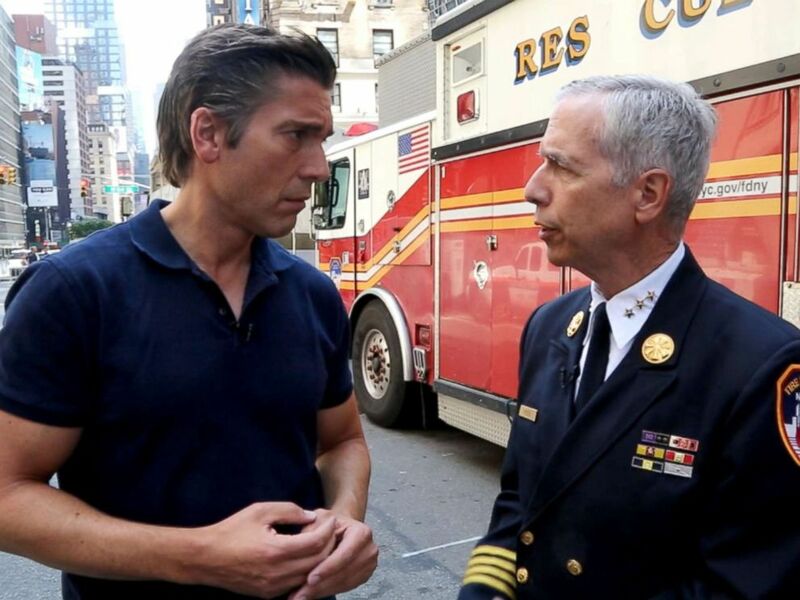 New York City Fire Department Chief of Counterterrorism and Emergency Preparedness Joseph Pfeifer speaks at a press conference, Nov. 22, 2015, in New York City. Now, almost 37 years after joining the FDNY -- 16 of those years as a senior leader -- the firefighter from Queens is retiring. He was just 25 when he started. His last day will be Friday. He said he plans to spend days with his almost 4-year-old granddaughter and sail with his son as he once did with his brother. "We went out on the sailboat and it was just great memories -- so, those memories are always there," he said. "It's just gonna be carrying on his, his memories. He'll be there in spirit."